Oleg Yurenya is the master of sports of international class, Belarusian rower-kayaker, has been playing for Belarus since 2008. He is the participant of the Summer Olympic Games in London, two-time European champion, world championship medalist, World Cup winner, multiple winner of national championships. Oleg Yurenya is constantly among the ten best athletes of the Mostovsky district, his list of achievements can barely fit on the newspaper page. He was born in Mostowschina. He was still studying at the Mostovskaya Specialized Children and Youth School of the Olympic Reserve No. 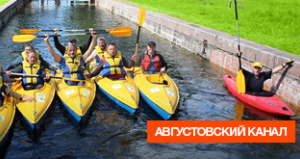 1 in rowing and canoeing, was trained under the guidance of coach Vladimir Zadolin. He was a student of the Grodno State Olympic Reserve School. He achieved the first serious success in 2008, when he first joined the main team of the national team of Belarus and took part in the European Championships in Milan in the standings — in the kayak-two at a kilometer distance he took the eighteenth place. A year later, he made his debut at the World Cup, eventually settling on the fifteenth row of the world ranking of canoeists, and also went to the European Championship in Brandenburg, where he was the ninth in the single kilometer program. Since 2006, Oleg Yurenya is engaged in the Brest regional school of higher sportsmanship. He fulfilled the qualifying standard of the XXXI Summer Olympic Games 2016 in Rio de Janeiro (Brazil) at the World Championships in Milan (Italy) at a distance of 1000 meters in solo. There are three medals of the World Championship in the bank of achievements in Moscow: in 2010 — bronze, in 2011 and 2014 — silver. Three gold titles of European champion 2010, 2011 and 2014. Bronze I of the European Games in Baku. Serious competitions are coming. We hope that our rower will also have a good result there.